VIVOTEK IP8362 is a best-in-class 1080p outdoor bullet network camera designed for diverse outdoor applications. With full HD resolution in 16:9 aspect ratio andWDR enhancement, users can identify image details in extremely bright as well as dark environments. We are engaged in offering high quality IP Network Camera. These products are available in market at competitive rates. Highest Quality. Lowest Bandwidth. Predictable Storage. The Quasar CM-4251 series of HD 1440p / 5MP cameras is a best in class broadcast video quality camera that guarantees frame rates in high motion, complex and low light scenes, and lowers your utility costs and carbon footprint. Camera Pixel: up to 5 Mega Pixels. IR Range: 5 Meter to 150 Meter. 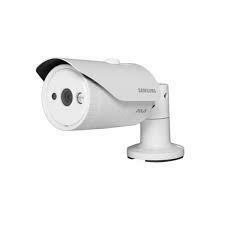 Tech Tree Inc. is leading supplier, trader and whole seller of IP Network Camera. Backed with well qualified and experienced team members, we are engaged in offering an exclusive range of Network Camera to our valued clients at very reasonable prices.